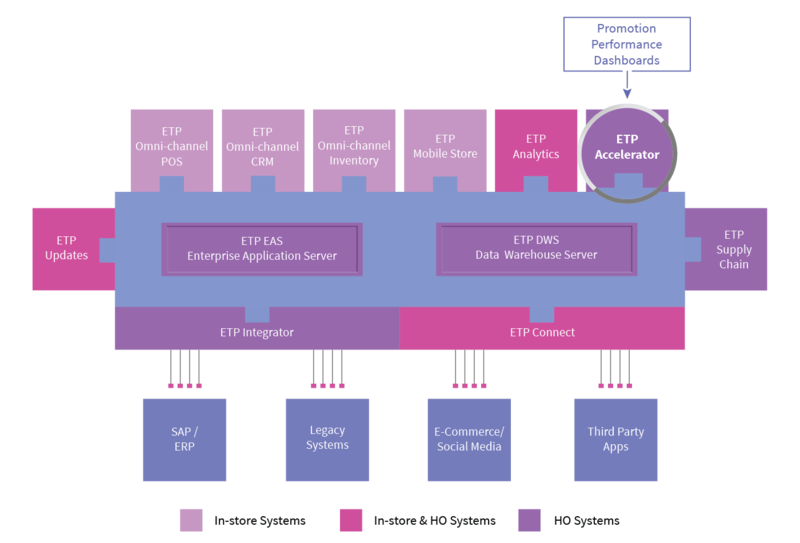 ETP Accelerator is equipped with an intuitive dashboard that enables retailers to stay tuned to the customer expectations and modify their retail marketing promotions as well as easily reactivate previously successful promotions. Retailers can view their various marketing promotions across various periods in a daily, weekly and monthly calendar format using the in-built promotions planning calendar allowing them to further sync their promotions with the brand’s social media network. A set of business rules monitor the performance of the promotion and measure it against a set of goals, giving you a feedback of how your promotion is performing against your target. This drives the discipline in your business as well as delights customers with a unified brand experience that encourages loyalty.